What’s that big green splotch surrounding Dodger Stadium?….its none other than the often overlooked Elysian Park. 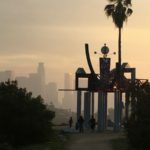 Despite being overshadowed by its massive neighbor to the north (Griffith Park), Elysian Park is still packed with things to see and do. 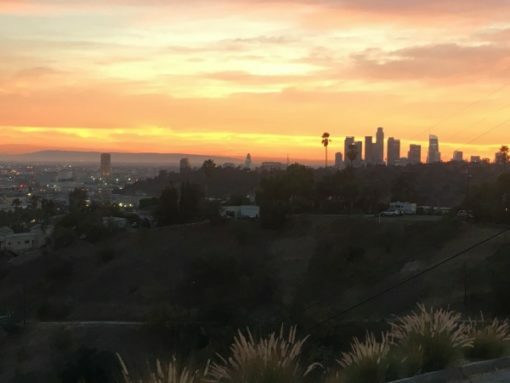 Its home to Dodger Stadium and just a few minutes from Downtown LA, Hollywood, and Silverlake/Echo Park, but with all its hills, roads and side trails it can be hard to fully understand. So, in an attempt to make sense of it all Ive broken the park down by “section”. Here’s the low down. This is obviously the most notable and distinguishing feature of the park…and perhaps the only reason you’ve ever ventured here. For those unfamiliar with the park, Dodger Stadium takes up the large southern section of the park and can be access ed by a handful of roads leading to its surrounding parking lots. On the map it looks like it could be a lovely lake situated in the middle of the park. Eh, not so much. In reality its a dried up reservoir….at least at the time of writing. Nothing more to see or say about it. Im not sure what its technically called, but here Ill refer to it as “The 5 Freeway Hike”. 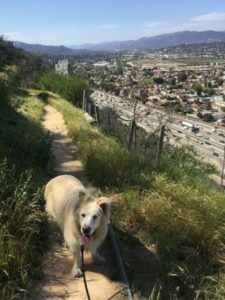 Its a pretty cool (and easy) hike that takes you along the ridge of the park high above the 5 Freeway. It starts at the southern tip of the park and runs to the northern edge…the whole time running high above the freeway and offering some cool views of Cypress Park and Mount Washington below. Its also a popular spot for teenagers to drink beer and get high so trash and graffiti is not uncommon. There are two sections of flat lands in the park. Both offer your standard features of bbq pits, picnic tables and shelters. This is the domain of families, kids, dogs, frisbees and carne asada grilling on the bbq. Parking is abundant and the sketchiness found in other parts of the park is mostly non-existent. This section includes baseball diamond, shelters, bbq pits and is a popular place for families and small gatherings. 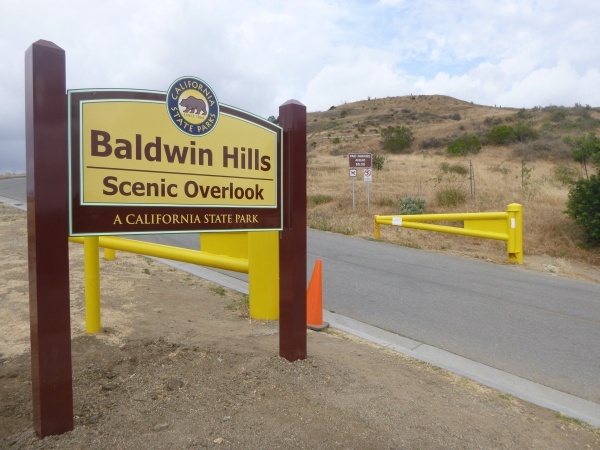 Probably the most common destination in the hilly areas of the park, this picturesque overlook has great views of downtown Los Angeles, some short hiking trails and a small bbq area. The main overlook area has a cool artsy viewing platform. Its also a popular spot for photographers. 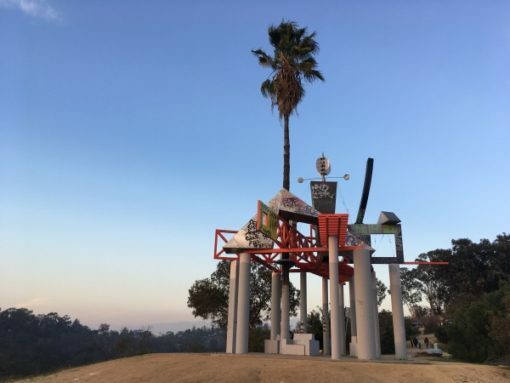 Easily the creepiest section of the park, Buena Vista Overlook is a hill that shoots out across the 110 freeway. Its an interesting place to say the least and known as a spot where gay men go to hook up in the surrounding trees. I can confirm that the times Ive been there Ive always seen cars parked with single men in them…just sitting. Its also not uncommon to see piles of beer cans, trash and used condoms in various places amongst the trees. You’ve been warned.